hold on babies…Gang Girls 2000, Surf Gang & Hell on Wheels Gang Girls Forever aka The Girl Gang Trilogy is coming to the land of the ice and snow! From the midnight sun where the hot springs blow! The Icelandic Premiere of these groundbreaking, pavement shaking, hip swingin films will be at the Bio Paradis Wednesday, January 25 @ 8pm. As the director of these films, I will be present at the screening for a Q&A! Part two of my northern lights tour, after a smashing time in Copenhagen. It’s a force beyond reason, the compulsion is absolute and I am happily enslaved to its demands. I physically labor to serve it until I’m too tired to function. I push off onto this surface, which is blue-green and in motion. It’s moving me and every other thought disappears. When I’m trying to catch up to this moving force, this wave, it makes me pull with all my might like I’m trying to save a baby, like I need it to survive. When I’m paddling out on a big day, I am sometimes literally swimming with all my might just to save my own life, and every other thought disappears. For a busy brain this relief, this “no thought, no past, no future” is a rare and priceless gift. And it’s the high I keep coming back for. My first day surfing seemed so innocuous but it ended with a prophecy. I had been filming a friend, this artist guy with blond dreadlocks who surfed. He got out of the water to rest. I thought he was joking. Now I knew he meant it. That was 8 years ago. 3 or 4 boards ago. Three wetsuits ago. Dennis is his name. He gave me an old longboard to use, an old faded RonJon with an altered, glassed-in fin. 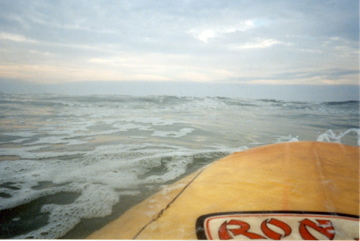 That first year, I only went out when the waves were big. I was ignorant. I didn’t know it was possible to surf on smaller days. I was stupid, brave, terrified. The certainty of “I will die, oh my god, I will die, if I don’t pull with all my might” replaced all of my other petty thoughts and concerns and I felt the gorgeous freedom that the present moment, flushed with adrenaline, can bestow. I was the kook out there trying to stay out of your way. Mostly I was successful. 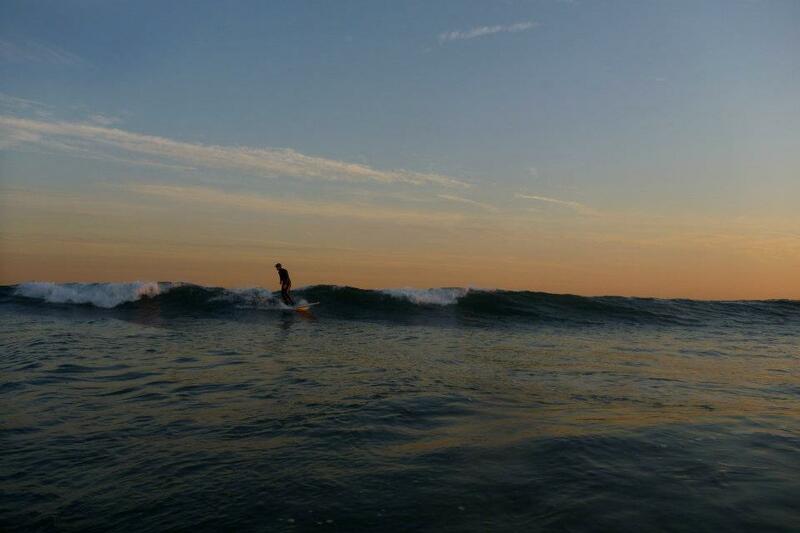 I learned how to surf by doing it and by surfing with friends. Saul. Dennis. Jerry. Simon. Jeanine. Each of them taught me the etiquette, the tricks to survive, how to duck dive, turtle roll, when to ditch the board and swim for your life, how not to ditch the board when you wipe out, how to surf without a leash, how to stay out of people’s way, how to claim your wave. How not to be a kook. Simon told me, “You’re not a kook, you’re a beginner.” And the difference, as I understand it, is not only in action (don’t drop in. especially don’t drop in, wipe out and ditch your board.) but in attitude. Humility. Awareness of others. After many, many day trips to Rockaway, evening trips to Long Beach, weekend trips to Montauk, trips up and down my New York City stairs (four flights); after a surf trip to Hawaii, a surf trip to Costa Rica, I’m fitter, stronger, happier and I feel like finally I’m getting it. 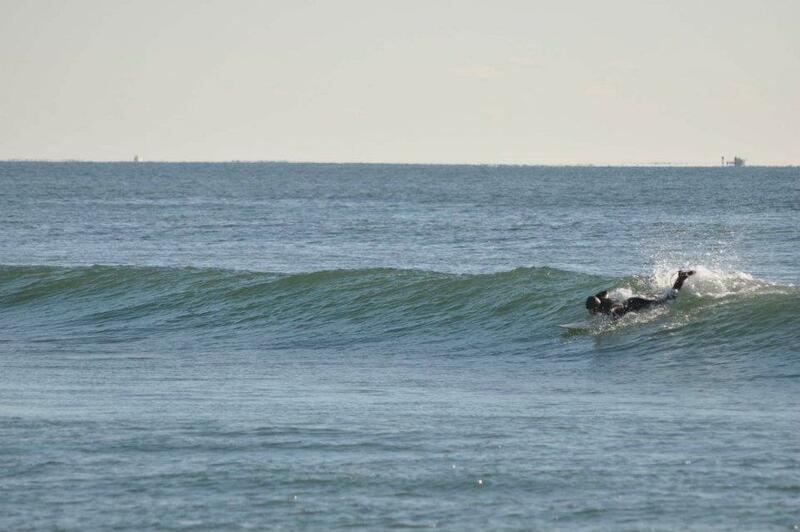 Today I surfed Beach 67th in Rockaway. In my opinion, this was New York City surfing at its best: it’s a hot summer day, with cool, clear, blue-green water, (It’s NYC, folks, trust me when I tell you, sometimes the water ain’t all that clear), nice 2-3 foot waves, two good girlfriends. The water felt delicious. I caught a bunch of waves. What’s funny is, after each ride, after I’d say to my friend, “Did you see that?” And then I would recount the brief story of the ride. But then I would try to remember the take off. And I’d have a moment of wonder, tilting my head like a dog hearing a queer sound. I realized, just today, that I can’t quite remember taking off on the wave. It seems I have a tiny blackout. I can remember how it ends but not how it begins. I figure each takeoff is a precious present moment so fully engorged with life that it must erase future memory. It only can exist at That. Perfect. Moment. It’s the indescribable high I hope to chase until I die. Katrina del Mar & Dona Ann McAdams (US) present a series of films and photographs from the Golden Age of Performance Art (1988-2000) and discuss their impact on art history. For the first time ever in Scandinavia, two prominent American women photographers, Dona Ann McAdams and Katrina del Mar, will be presenting an exhibition from their archives of their time documenting the brutal underground world of New York City’s performance artists during the politically unstable period 1988-2000.